Access Now is pleased to announce the winners of our fourth annual Heroes & Villains Awards! The heroes and villains are chosen in recognition of their work over the past year to advance human rights. Specifically, we look for those who have embodied (or undermined) the International Principles on the Application of Human Rights to Communications Surveillance. The awards are timed to coincide with the annual anniversary of the Principles, which were launched in September 2013 and have, to date, been endorsed by more than 400 civil society organizations worldwide. This year Access Now announced a new approach for our heroes and villains: rather than announcing a separate individual (or grouping of individuals) for each Principle, we recognize five overall human rights heroes or villains. This allows us more flexibility to recognize those who have had the biggest global impact, as well as ability to better promote their work. Over the last few months, we received nominations for almost 80 people or organizations from around the world. After a careful evaluation of all the nominees in light of our six objective criteria, we selected the five heroes and five villains whose work of the past year best embodied the Principles, though nearly all of the nominees deserved to be recognized. This year, for the first time, all awards have been issued based on overall contribution to all 13 Principles rather than embodiment of a single principle. Without further ado, we present you to our 2017 heroes and villains. On July 5, 2017, Ali and Peter were giving a digital security training to at-risk users in Turkey, including a top official at Amnesty International Turkey. During this training, they were arrested and detained on suspicion of aiding an armed terrorist organization (authorities have not identified a specific organization). We recognize them as heroes for recognizing the importance of digital security for human rights and providing information to those who need it most, at great personal risk and cost to themselves. We urge Turkish officials to release them from detention immediately and drop any and all charges, as well as the charges against the participants in the training who remain in detention. 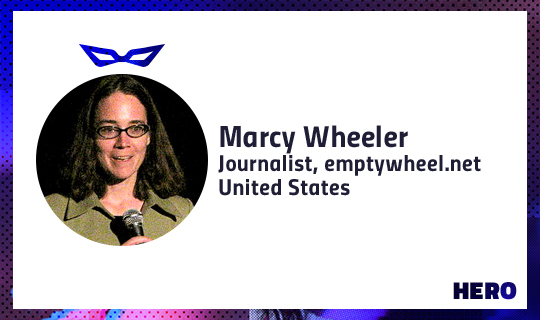 Over many years Marcy has scoured countless documents from and about the U.S. government to reveal surveillance activities that exceeded the bounds of the law. In September 2017, Marcy authored a report (PDF) that highlighted unlawful practices by U.S. intelligence agencies in the lead-up to debates about whether or not to renew certain invasive statutes. This award is meant to recognize Marcy’s efforts as a tireless and consistent hero for accountability for these agencies. This year, Garcia helped research the Mexican government’s purchase and use of sophisticated malware that has been used against journalists, human rights defenders, and political opponents. Separately, Ramy Raoof is recognized for his work on an investigation that revealed a large-scale phishing operation leveraged against leading Egyptian NGOs, staff, and activists. Garcia and Raoof are heroes for their exhaustive efforts to reveal invasive and harmful surveillance tactics that are being used to harm users at risk. Launched in December 2016, Chupadados highlights the intrinsic human rights issues raised by surveillance. The project brings together journalists and researchers to create stories about the collection and use of data in and around Latin America and how surveillance can have real-life impacts. Varon, Dias, and Felizi are heroes for taking the abstract concepts of human rights and surveillance and making them tangible and meaningful, and for promoting important stories to reach a wide population of people. 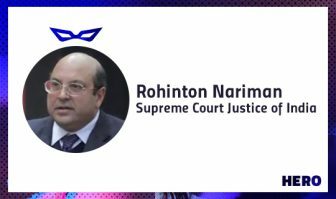 Justice Rohinton Nariman is one of nine Supreme Court Justices in India who unanimously agreed in a judgment to recognize privacy as a fundamental right. While all nine justices deserve recognition for their heroic judgments, Justice Nariman earns individual recognition for specifically citing to the International Principles on the Application of Human Rights to Communications Surveillance in his opinion. Special recognition goes to the other justices: Chief Justice Jagdish Singh Khehar, Justice Bobde, Justice Chelameswar, Justice Agrawal, Justice Sapre, Justice Chandrachud, Justice Kaul, and Justice Nazeer. In addition to these heroes, Access Now would like to name and recognize other nominees who deserve special recognition, including Tim Singleton Norton of Digital Rights Watch Australia, MEP Julia Reda, and Solomon Okedara of the International Center for Not for profit Law (ICNL). Our villains represent those who have taken active steps to undermine human rights around the world in 2017. This year our villains are overwhelmingly leading officials in governments around the world, recognizing the increasingly troubling trend of leaders’ disregard for human rights. This trend cannot continue. A message to our villains: we are watching you, and we hope that you will take this recognition as a sign that your next step must be to integrate protections for human rights in your work. Some heroes later become villains, but villains can also take the necessary steps to become heroes for human rights. As leading officials representing countries in the notorious “Five Eyes” partnership, both Secretary Rudd and Attorney General Brandis have pushed publicly for authority to bypass encryption protections in favor of exceptional access for law enforcement to digital content. This type of access has been repeatedly demonstrated to undermine digital security globally, including and especially for the users most at risk. Rudd and Brandis represent countries that serve as examples for other government officials around the world, so both are named villains for failing to recognize the critical importance of encryption for human rights in our increasingly connected world. 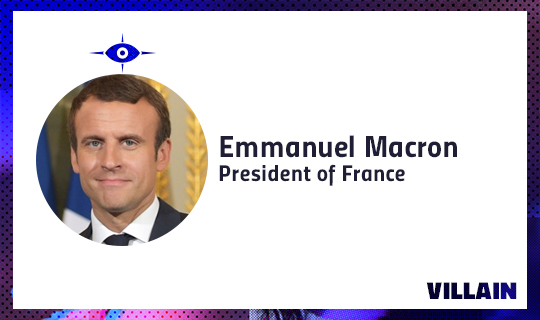 In the wake of Macron’s election as President of France, Access Now called upon his government to commit itself to protecting human rights. Unfortunately, these pleas were not answered, and under Macron we saw a renewal of France’s state of emergency as well as a pledge to make some of its more invasive provisions permanent in what would become a new law. Macron is recognized as a villain for failing to heed calls to protect human rights and instead further undermining them. The threats to and abuse of human rights in the United States under President Trump have been well documented. Earlier this year, Access Now reviewed several of these activities that took place during the first 100 days of the presidency. Since then, Trump administration officials have renewed and expanded travel restrictions to the U.S., drastically increased surveillance of immigrant populations, and supported the permanent expansion of some of the most invasive U.S. surveillance laws. For these actions and more, members of the current U.S. administration earn recognition as human rights villains. As the minister of industry and information technology, Minister Wei has overseen a ban on virtual private networks (VPNs) across China. VPNs offer an important level of digital security to users and protect against unauthorized access to web browsing activity. 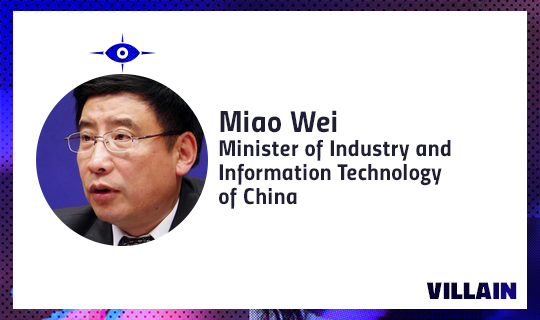 Minister Wei is recognized as a villain for this ban, which has led to the removal of these important services from popular application stores in China. Judge Naidenov repeatedly ordered the continued detention of Dmitry Bogatov, an operator of a Tor exit node in Russia. Bogatov was detained when the Russian government determined that content deemed subversive (like a link to Kanye West’s No Church in the Wild) was traced back to his server, even though evidence demonstrated that Bogatov was not personally responsible for the content. Today, in a demonstration of disregard for human rights, Bogatov remains under house arrest. 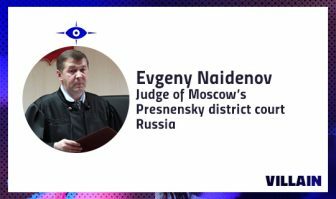 Judge Naidenov is therefore recognized as a villain. As with our heroes, we also recognize “honorable” mentions in our villains category, including U.S. Senator John Cornyn, Director Hung-Wei Chien of China’s Department of Cybersecurity, and Mexican President Enrique Peña Nieto.